This page is a quick start to use CetSDK .NET PDF to Image Converter SDK for ASP.NET web application. You may quickly add and integrate our free .NET PDF converter library dll to your Visual Studio ASP.NET web project to evaluate and test. And we provide C# & VB.NET coding examples for how to load PDF document in ASP.NET web project, how to convert PDF document to image(s), and how to render and show it on ASPX web page. CnetSDK enables .NET developers to transform and convert PDF file to common raster image files, like PDF to JPEG, PDF to TIFF, PDF to PNG, PDF to BMP, and PDF to GIF. To use all mature PDF to image converting APIs and methods for your ASP.NET application, you need to firstly add and integrate .NET web project reference to CnetSDK.PDFtoImage.Converter.Trial.dll. Please choose a suitable .NET PDF converter library dll from downloaded package base on your Windows System (x86 & x64) and .NET Frameworks version (2.0 to 4.5). CnetSDK .NET PDF to Image Converter SDK is a stand-alone PDF converter library for ASP.NET web form application and web services. 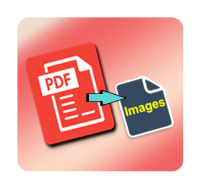 It can be used to render and convert PDF (page) and show image(s) on ASPX web page. No other (Adobe) PDF readers or PDF viewers are required for your ASP.NET application. If you already downloaded our .NET PDF to Image Converter SDK and added PDF library component to your Visual Studio ASP.NET project reference, you can directly use the following C# & VB.NET coding examples to have quick tests. Here, we only take PDF to Jpeg conversion and PDF to Tiff conversion as conversion examples. // Prepare a PDF document for test. // Create an instance of CnetSDK PDF file object. // Load your PDF file to ASP.NET project. // Convert the first page of PDF file to an output image. // Save image file as JPEG image format. // Show JPEG image to your ASPX web page.
' Prepare a PDF document for the test.
' Create an instance of CnetSDK PDF file object.
' Load your PDF file to ASP.NET project.
' Convert the first page of PDF file to an output image.
' Save image file as JPEG image format.
' Show JPEG image to your ASPX web page. CnetSDK .NET PDF Converter for Images SDK includes well-compiled and mature .NET APIs and methods for your .NET web & windows applications. If you want to get more .NET APIs and methods for C# & VB.NET programming, please see: C# Tutorial for PDF to Images Conversion, VB.NET Tutorial for PDF to Images Conversion. CnetSDK .NET PDF to Image SDK is also referred by our customers as asp.net pdf convert image library, asp,net pdf converter free trial, and asp.net convert pdf to image component. You can also search pdf to image converter asp.net, asp.net pdf render to image, asp.net pdf conversion to images, asp.net pdf to jpg converter, asp.net convert pdf to tiff, asp.net convert pdf to jpg, pdf to jpg converter asp.net, pdf converter aspx, and web converter pdf to jpg/jpeg to find our SDKs. Or instead, you can directly search CnetSDK to find all our products.